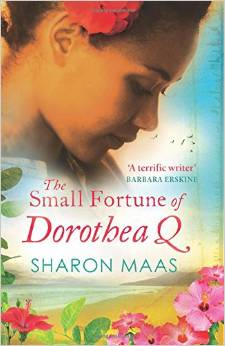 Today on the blog, I am excited to welcome literary and women’s fiction author Sharon Maas, author of The Small Fortune of Dorothea Q and Of Marriageable Age. 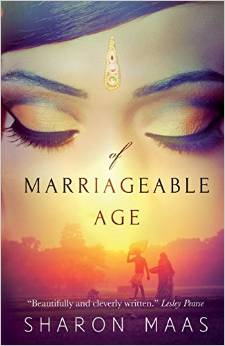 Sharon’s debut novel, Of Marriageable Age, is a spellbinding story of forbidden love: three continents, three decades, three very disparate lives. I was born and grew up in Guyana, South America, but have always travelled a lot and I ended up in Germany, which has been my base for the last 40 years. From there I visit Guyana regularly, as well as India, which has become a third homeland to me. So I have a kind of a hybrid mentality, allowing me to adapt to wherever I am! I’ve always been a voracious reader, and my first job was as a journalist at a Guyanese newspaper. But I was all of 49 when I first started to write fiction seriously. My first books were published by HarperCollins, but that initial success was followed by over ten years of drought in which the books I was writing were not deemed commercial enough for the industry. The fact is, I wanted to write stories that reflected my own background, my own experience, and that came mostly from growing up in Guyana and living in India. I wanted to write stories that came out of as experience that was deemed too “exotic” for mainstream Western readers. With the dawn of the digital age, I found a new direction. The innovative publisher Bookouture first republished my very first novel, Of Marriageable Age, and then an unpublished one; more books are lined up to go out into the world and I feel at last that there will be a readership for what I’ve written over the years. For many years now, I’m programmed to wake up at 4:30 am to write. That’s my time; everything is quiet, there are no disturbances, and my mind is fresh and ready to create. I love it! As far as place is concerned, I’m very flexible. I just sit wherever there’s a desk and a computer! I’m the quintessential “pantser” – and it works! I can start a novel without the least idea who it’s about or where it’s going to go. Sometimes I have a vague idea about what the main story might be about, such as with The Small Fortune of Dorothea Q – I knew it would be about a rare stamp turning up in someone’s family. But when I started I just plunged straight in and the story came as I wrote. I love it – it means that writing itself become a voyage of discovery for me, and I’m always excited when I have to start a new novel, as I have little idea where it will take me, and who I will meet along the way. Most of my books have a historical background, and I need to go back into the past to find out what really happened. Sometimes I need to read books to brush up on the history, or just ask people who might know. I do this in between times, not during my 4:30 am writing time! My sources to date have been books and websites about Guyana’s past, as well as a few older individuals who are in the know. I read and write mostly general fiction; I like realistic fiction about the lives and loves of unusual people. There isn’t really a set genre for it; I just love discovering new cultures and countries, and that’s where my fictional interest goes. I always find it hard to place my own fiction into a genre; whenever there’s a list, I find that my books don’t fit in anywhere! I guess the nearest you can come to it is “women’s fiction”, that is, the lives of unusual women and their struggles, how they overcome their hardships and challenges. I need to be moved to the core in my reading, and so that’s the kind of book I look for. So I just keep my eyes and ears open for books that meet that criteria, regardless of genre. I need depth of character, and the sense that I am taken into a world or a problem I know nothing or little about. As I said above, my reading is pretty eclectic. Authors whose work I have loved are Vikram Seth and Rohinton Mistry. I also read everything by the Nigerian author Chimamanda Ngozi Adichie and would love to write equivalent Guyanese books! Thank you, Sharon. It’s been a pleasure! 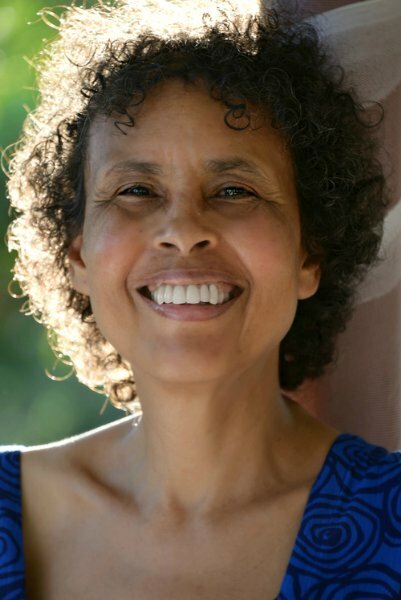 Sharon was born in Georgetown, Guyana in 1951, and spent many childhood hours either curled up behind a novel or writing her own adventure stories. Sometimes she had adventures of her own, and found fifteen minutes of Guyanese fame for salvaging an old horse-drawn coach from a funeral parlor, fixing it up, painting it bright blue, and tearing around Georgetown with all her teenage friends. The coach ended up in a ditch, but thankfully neither teens nor horse were injured. Boarding school in England tamed her somewhat; but after a few years as a reporter with the Guyana Graphic in Georgetown she plunged off to discover South America by the seat of her pants. She ended up in a Colombian jail, and that’s a story for another day. Sharon has lived in an Ashram in India and as German Hausfrau–the latter giving her the time and the motivation to finally start writing seriously. Her first novel, Of Marriageable Age, was published by HarperCollins, London, in 1999 and reprinted as a digital edition in 2014. She now lives in South Germany and works as a Social Worker in a hospital. Sharon’s books are available on Amazon UK and Amazon.com. You can connect with Sharon on her website, on Facebook and Twitter.